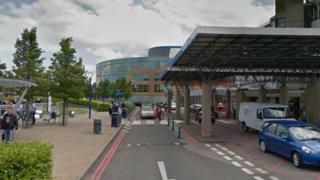 A boy who suffered brain damage as a baby due to hospital failures has been awarded £16.5m in damages. University Hospital Southampton NHS Foundation Trust agreed to the settlement at a High Court hearing. It will help provide care for the rest of the boy's life. Law firm Irwin Mitchell said the boy's mother, raised concerns about his feeding soon after his birth in 2005. By the time his falling blood sugar levels were identified, he was seriously ill and spent 15 days in intensive care. A spokesman for the Trust said: "We hope the substantial damages awarded in this case will help to ensure the patient receives the care and support he requires throughout his lifetime and enables him to live as independently as possible. "A detailed apology was provided to the family some time ago which set out the steps that have been taken since the incident in 2005 to prevent a similar tragedy occurring again and we wish the family the best for the future." Justine Spencer, who represented the boy's family, said: "While we are pleased with the outcome of today's hearing, no amount of money can ever compensate for the severe and lifelong injuries my client has suffered." In a statement issued through the law firm, the boy's mother said she felt "feel angry and let down" by the care her son received. She said: "Despite raising concerns about our son struggling to feed, we felt we were just ignored until it was too late."